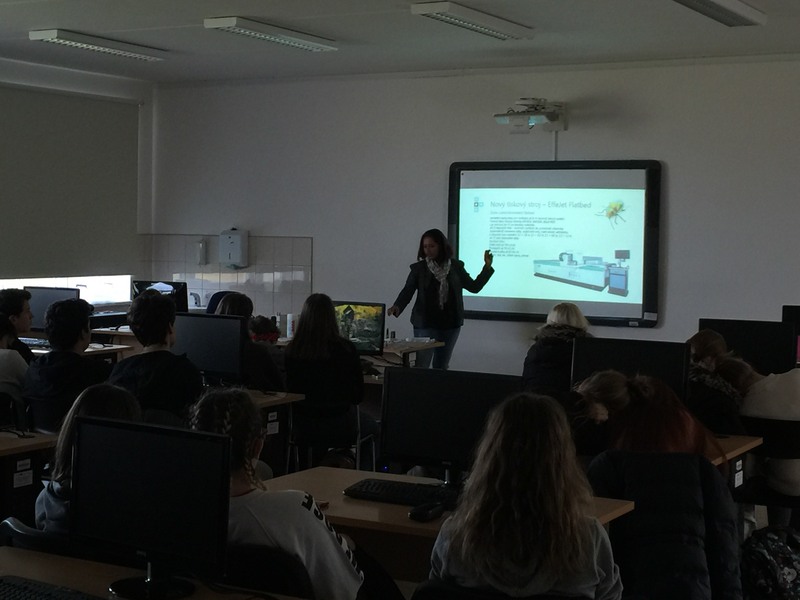 Lecture Effetec at Polygraphic High School - Effetec s.r.o. 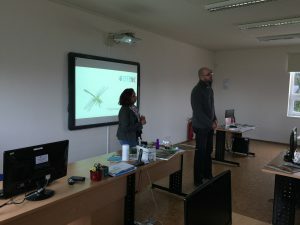 On 9.1.2018 a lecture was held by Effetec at the Polygraphic school in Olomouc. Effetec was very much welcomed by the Deputy Head of School Mgr. Petr Skyva. The lecture was prepared for students of the first and second year of this school. 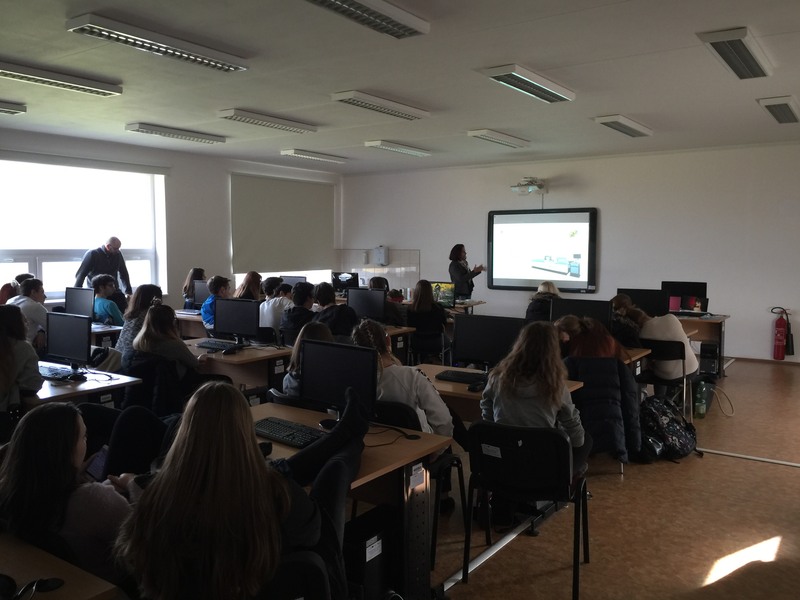 Students could learn about the production and development of large-format digital UV printers and, in general, with Effetec, as the only Czech producer in this area of ​​digital large-format printing. The presentation was led by Effetec sales manager, Donna Ivy Frantík. 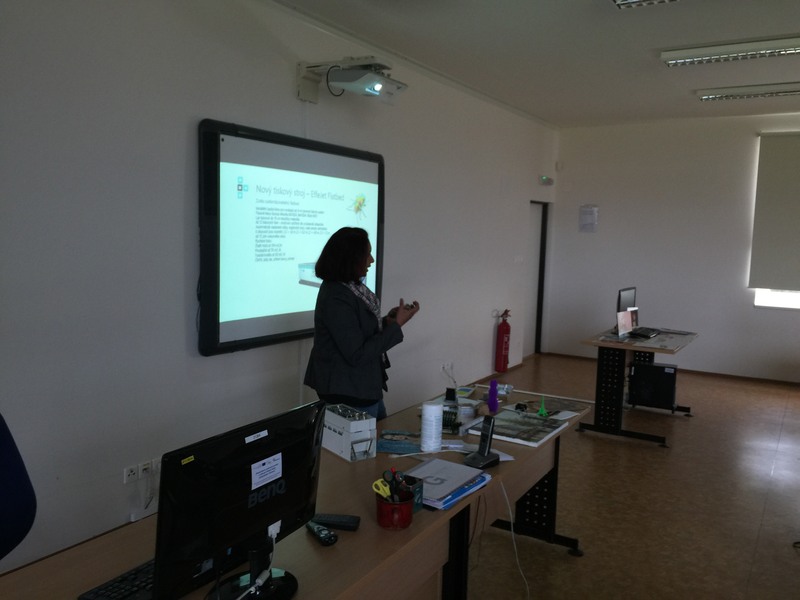 She started the talk in the English language and switched smoothly into the Czech language. First, the information was general – Effetec and UV digital printing. She mentioned the differences between this technology and other types of printing. The lecture continued with information about the advantages of this company, which is customization as such, where the customer can choose a printing machine tailored to their products. There were also some possibilities of printing on different materials that Effetec is able to print. The longest part of the lecture was focused on the latest model, and is the EffeJet large-format digital UV printer. This type of printer can have several options, whether flatbed, roll to roll, or EffeJet hybrid. It was explained to the students that the printer can be in the basic color CMYK configuration or, in addition, it has added a white paint or even a varnish or primer. For special applications – for example, to print traffic signs, it is possible to use spot colors such as orange, red, green and so on. Mrs. Frantik’s students explained what everything can be printed with UV printing and what to do with machine customization. Finally, listeners had the opportunity to discuss UV printing with samples of samples on different materials.